Helpful for injuries such as hip dysplasia, tarsus instability, knee problems, etc. Rear limb injuries in dogs usually require an effective immobilization. 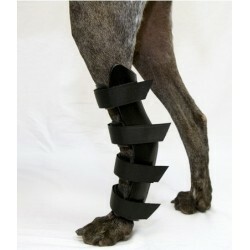 This new splint has been moulded after a human one and is normally used in cases of leg, tarsal or paw injuries. 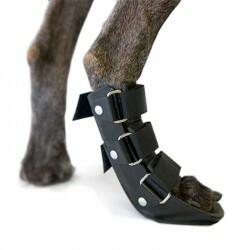 Dog splints are useful for treating neurological problems, (to correctly position the limb) as well as in trauma problems (to provide support and immobilize). Clear plastic splint for cats and dogs. It has been designed to be fitted quickly and accurately. It supports the leg from both sides when it is properly padded with a soft bandage. The bootie splint supports the lower part of the limb. 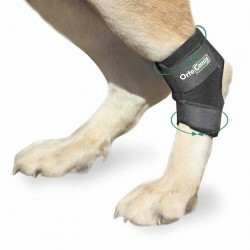 The brace extends under the paw to stabilize toe injuries and provides the support needed to properly position the limb. It is especially indicated for knuckling problems, as well as for neurological processes and proprioceptive deficits in the distal limbs. 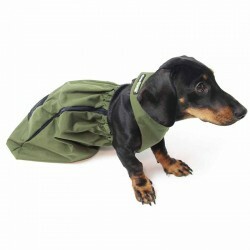 Drag Bag Great for protecting the chest and limbs of dogs with hind leg paralysis. It enables handicapped pets to drag themselves around when they are at home by sliding on the floor. It prevents urine infections and sores. 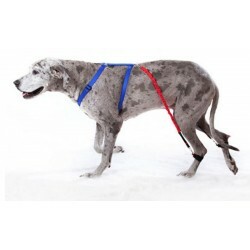 This support helps dogs with hip dysplasia or arthritis. Stabilises and warms the hip articulation, reduces the pain and boosts the muscles activity avoiding atrophy and increasing the bond between the femur head and the acetabulum. The Biko-Brace has been specially designed to help dogs walk with ataxia, Degenerative Myelopathy, degenerative disc disease or post-operative patients. The brace corrects the position of the hind limbs. 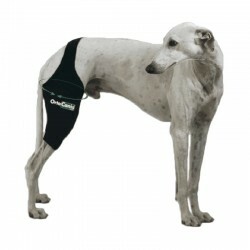 This customizable knee brace helps dogs with limping and joint pain for an improved quality of life. It compensates loss of joint functionality, immobilizes the lateral displacement of the knee and reduces pain in dogs with arthritis or osteoarthritis, cruciate ligament injuries, meniscus injuries, kneecap problems and tendinitis. The hock wrap is ideal for dogs with tarsal injuries, tarsal arthritis, ligament injuries and tendon and joint inflammations. The hock brace is ideal for dogs with tarsal injuries, tarsal osteoarthritis, ligament injuries and articular tendon inflammations. The Back on Track fabric helps to speed up the healing and recovery process. You may also be interested in our new hock wrap. 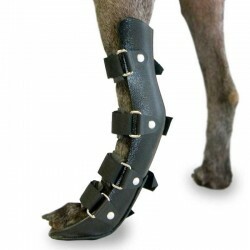 This hock splint completely immobilizes the tarsal joint (ankle), without impeding the contact between the paws and the floor, making it more confortable for the dog. 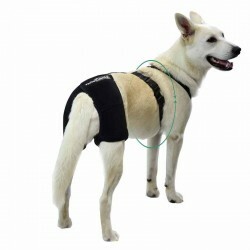 This proprioceptive corrector is an assistive device for dogs with sciatic nerve insufficiency secondary to Degenerative Myelopathy, intervertebral disc disease, fibrocartilaginous embolus, spinal trauma and neoplasia, among other diagnoses.